Engineers: A. van der Schoot, G. van der Schoot, D.J. van der Schoot The Netherlands Broadcasting Music Center in Hilversum is fully equipped to accommodate three orchestras, as well as a large choir. 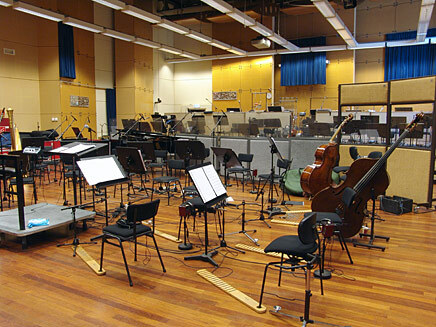 The first studio was built in 1931 and in 1995 it was taken into use by the Netherlands Broadcasting Music Center. This studio was designed especially to accommodate the Metropole Orchestra. It has been equipped to a very high standard which ensures an optimal performance by the musicians. The Metropole Orchestra both rehearses and records here. 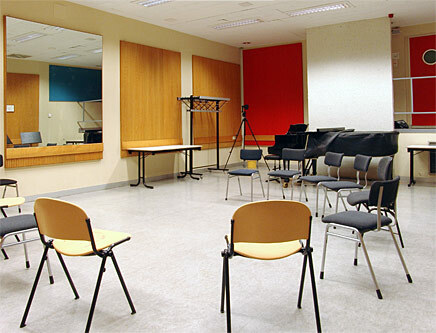 This studio is ideal for solo or group rehearsal. This is the smallest studio of the Netherlands Broadcasting Music Center.